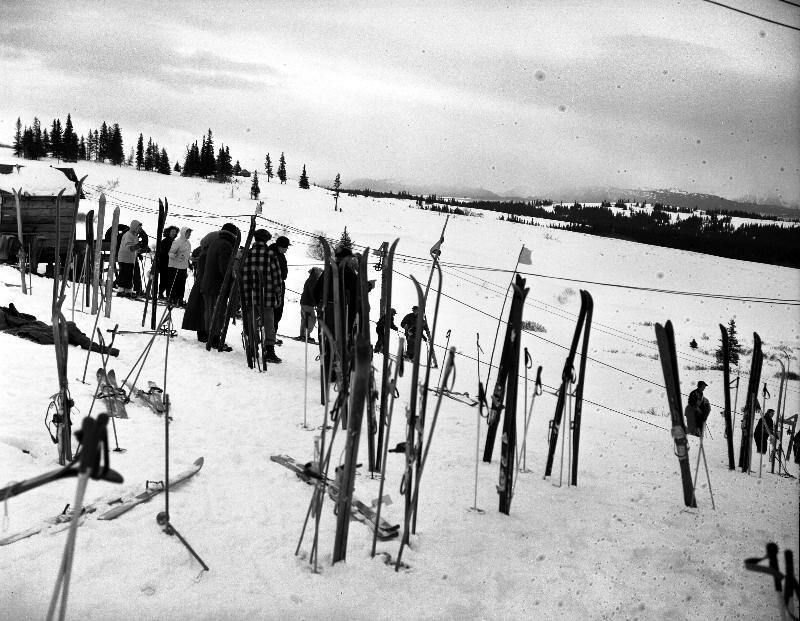 Miscellaneous: This rope tow was forced to be relocated in 1955, due to a minimal amount of snow and this south facing slope caused snow to melt too fast. Photos: Does anyone have pictures of skiing on the First Rope Tow Hill (or current pictures of the vicinity) that they would like to contribute to ALSAP ? 1954 - Here is a shot of the Kachemak Ski Club's first rope tow in Homer, on the south slopes of Diamond Ridge. 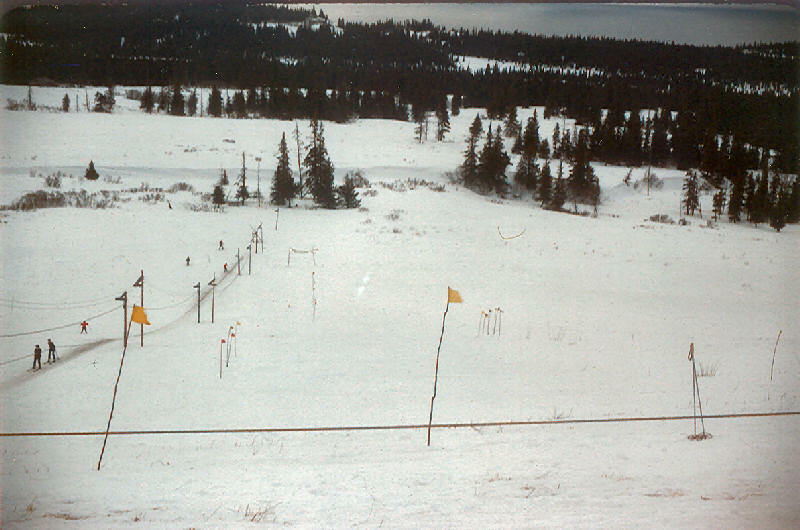 Apparently this was a very vibrant and popular skiing venue judging by all the skis and people. 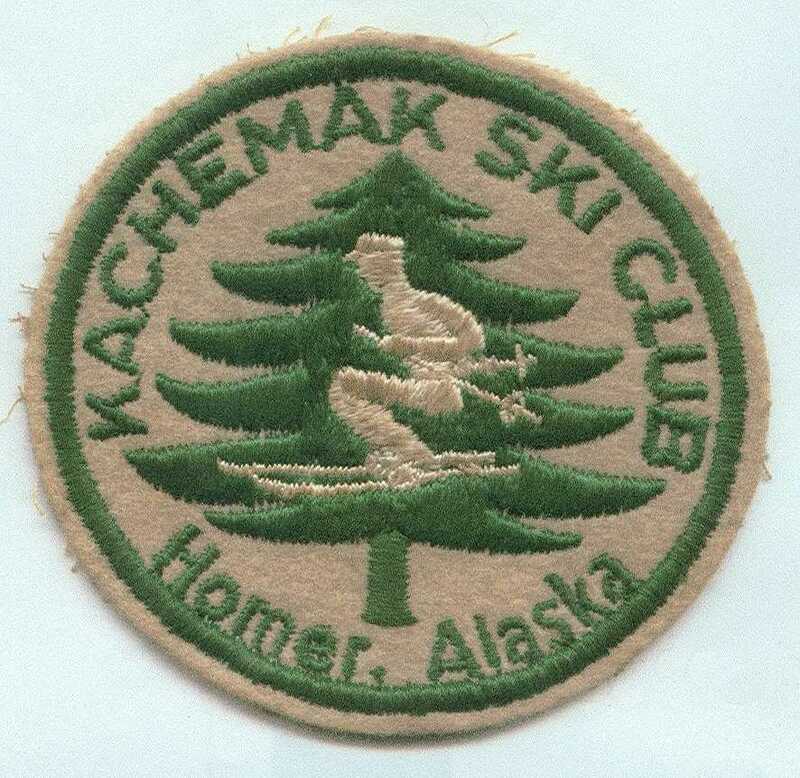 1950s slalom course skiing at the Kachemak Ski Club's First Rope Tow on the Browning Homestead. Slalom poles were saplings back then. 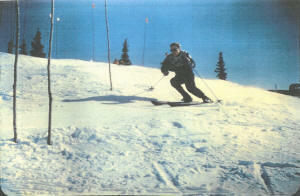 A good shot of a good skier! 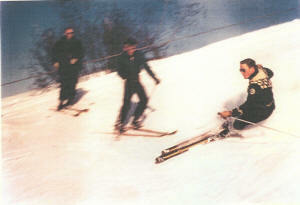 You can see the tow rope in the background. 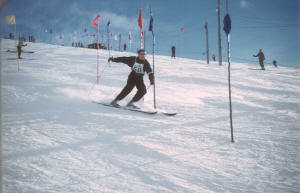 Slalom racer at the Homer First Rope Tow area on Diamond Ridge. 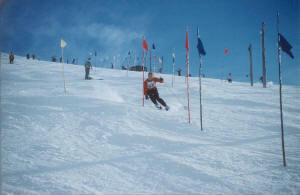 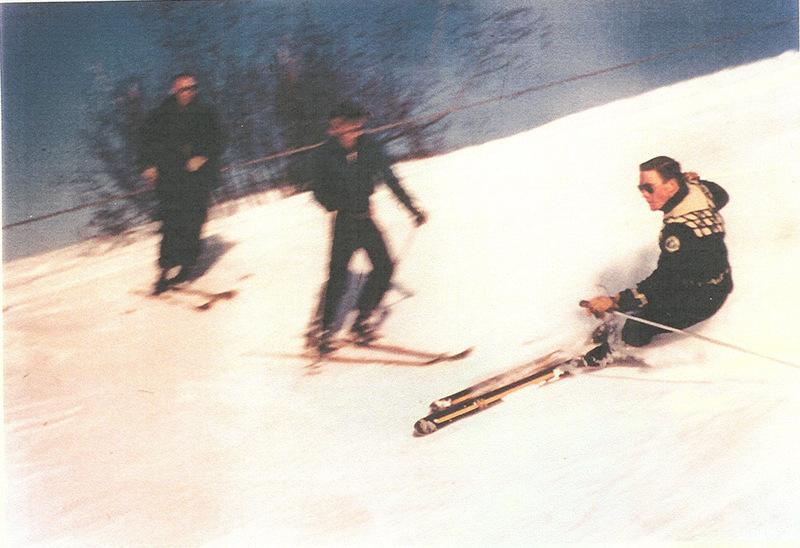 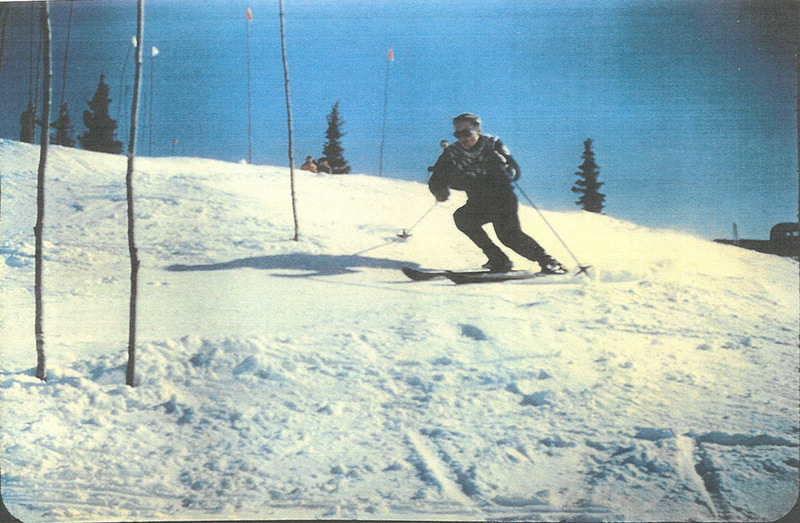 Bill Kramic skis a slalom course. 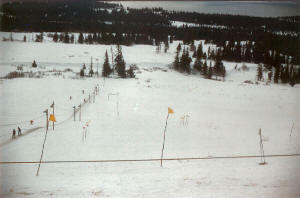 A good view of the ski hill and lift. 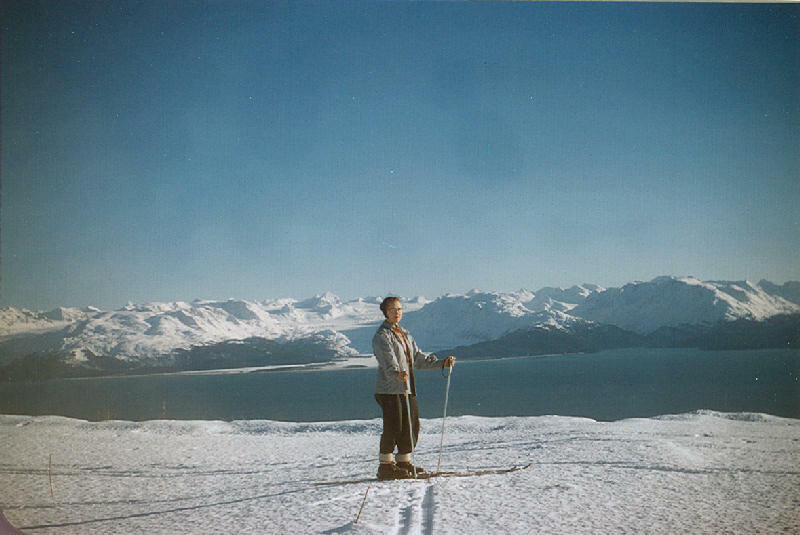 This ski area had great views. 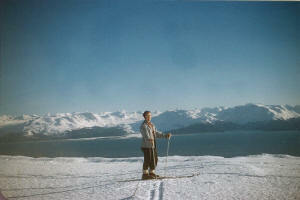 Mid McLay and overlook of Kachemak Bay. 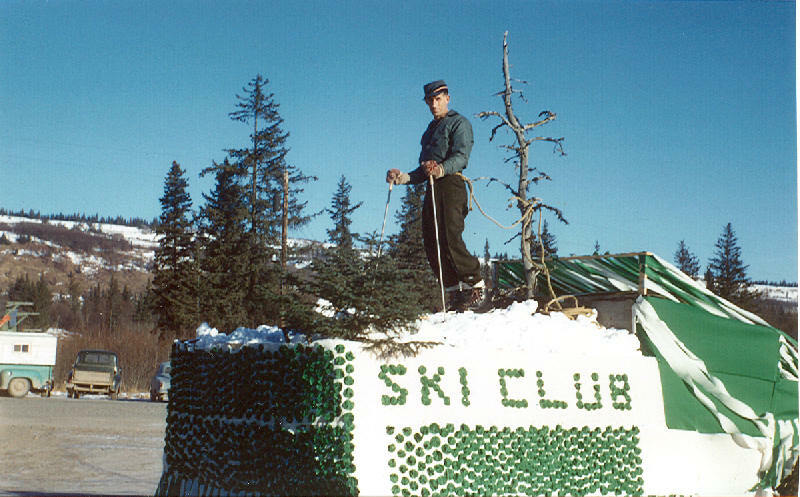 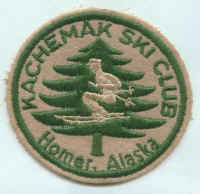 [Left] An image of an 1950's Kachemak Ski Club patch. 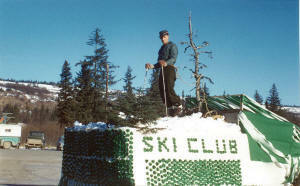 [Right] Homer Winter Carnival float. 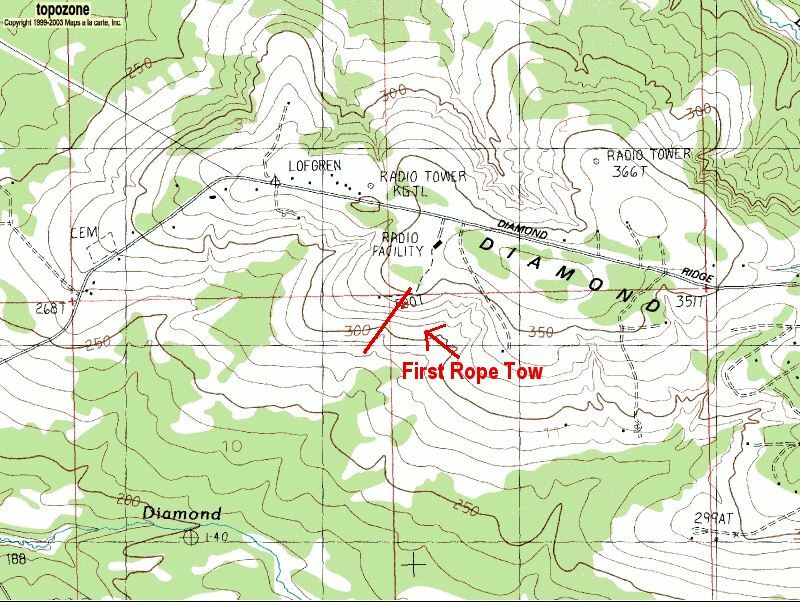 This topo map shows where the Kachemak Ski Club's First Rope Tow was located, on a south slope off of the Diamond Ridge Road. 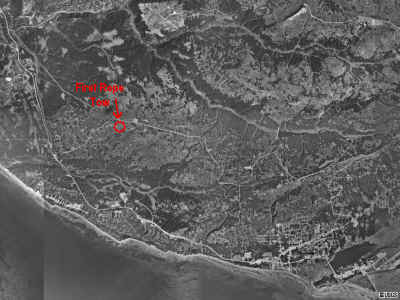 A 1996 aerial view shows where the First Rope Tow was located relative to Homer. 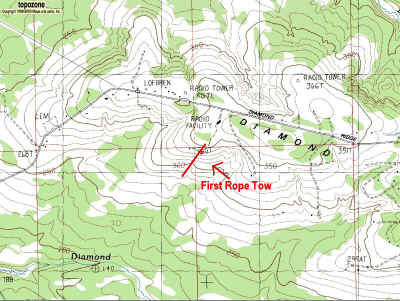 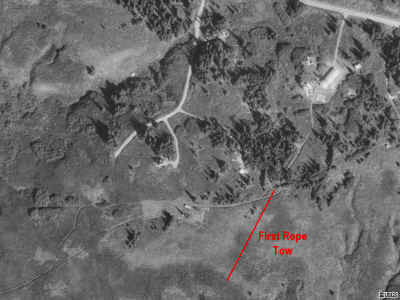 A zoomed in aerial view shows the approximate location of the First Rope Tow off of Diamond Ridge Road.